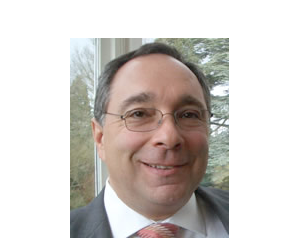 Robert Weiner has been announced as the first joint representative for Reform and Liberal Judaism to the European Union for Progressive Judaism (EUPJ). Robert has stepped down from his role as Chair of the Alliance in which Liberal Judaism and Reform Judaism work together in partnership on matters of common concern. His new role will strengthen the partnership of Liberal Judaism and Reform Judaism in the global Progressive movement. Liberal Judaism and Reform Judaism will now appoint members from their boards to take on a joint role of overseeing the Alliance. Liberal Judaism Chair Simon Benscher and Reform Judaism Chair Geoffrey Marx noted Robert Weiner’s role in creating the Alliance project after serving as Chair of Reform Judaism. The two Chairs thanked him for “all of the diligence and dedication” he has given to the Alliance, overseeing the creation of the Israel Desk and working towards the joint-chaplaincy project now in place serving Progressive Jewish students.